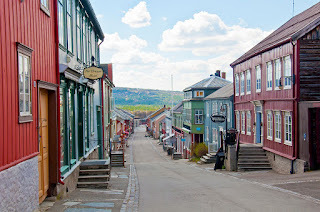 Roros is a good place to learn about copper mining as it occurred a few centuries ago. Copper mining started there in the 17th century and continued for more than 300 years, until 1977. The town has about 2,000 wooden houses that have been preserved in their blackened state, suggesting a medieval look. The town itself was established in 1646 by the Roros Copper Works. Farmlands surround the former mining operation, which include the remains of a smelter. The town is on the Winter Transport Route that used frozen lakes, streams and rivers to move people and goods. 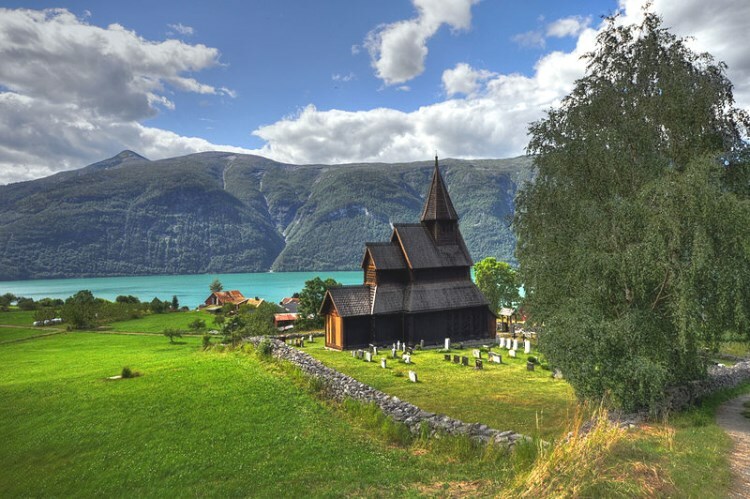 The Urnes Stavkyrkje, or Urnes Stave Church, blends several architectural styles into a medieval church that is still standing after 900 years. What is remarkable about this church, however, is the building material used: wood, instead of the traditional stone. Located on Norway’s west coast, the church blends Celtic, Viking and Romanesque features in a church that stands majestically in the woods. Urnes is one of 28 stave (wooden) churches in Norway as well as one of the oldest, having been built in the 12th century. Artifacts link pre-Christian Norse culture with medieval Christianity.